Saido Janko revealed to the Nottingham Post that he doesn’t mind being dropped by Aitor Karanka, calling the manager’s decision “good”. 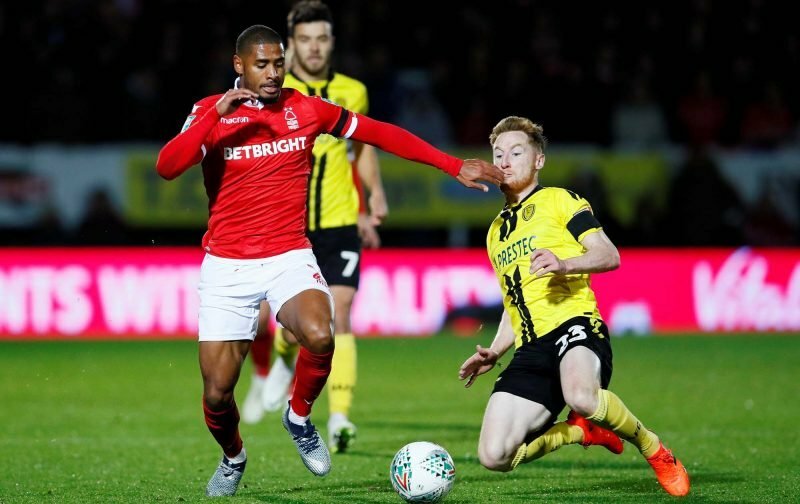 The Nottingham Forest defender had played in five of the Reds’ first six Championship games this season before losing his place to Tendayi Darikwa, but Janko isn’t downbeat about his situation. He says it fires him up to work even harder. He said: “I haven’t been playing the last couple of league games, but we have been winning and that is the main thing. If we are doing well then that is what counts. It has been good for me at the club. We push each other. I started the first five games and did well, (Darikwa) started the last few and has done really well, and that is what we need. Janko has made a total of six appearances in all competitions for Forest since joining on loan from FC Porto in August. His last league appearances came against Millwall on October 3 but he did get 69 minutes in the EFL Cup against Burton Albion on October 30. The right-back may be content to battle for places but he won’t want his loan spell going to waste. It wasn’t long ago that he was being linked with a number of clubs in the Premier League and Championship, but such talk has stopped since Karanka axed him for Darikwa. Unfortunately for the Swiss u21 international, the manager is unlikely to make changes with Forest doing so well in the league – sixth with 26 points from 16 games, boasting three wins and a draw from their last five outings. Janko may have to remain patient for opportunities.